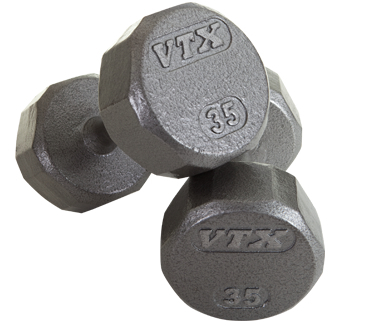 Our Troy VTX Pro Cast Iron Dumbbells Set 55-100lbs SD-V-55-100 unique VTX 12 sided dumbbells are quality engineered and built to last a lifetime. These stylish dumbbells use only the highest quality ASTM-grade 20 casting and are coated with a durable resin based paint to resist chipping, abrasion and corrosion. 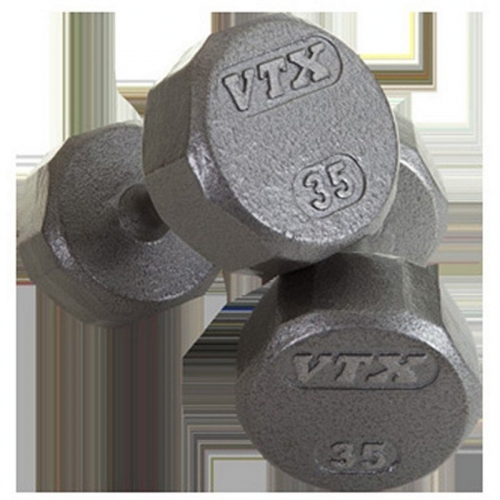 This Troy VTX Pro Cast Iron Dumbbells Set 55-100lbs SD-V-55-100 is light commercial grade and perfect for home use, high school weight rooms, apartment gyms and physical therapy clinics. 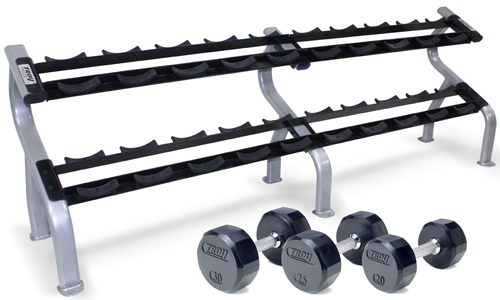 Set includes a pair each of 55lb - 100lb dumbbells in 5lb increments. Inside handle length is 5 1/4"